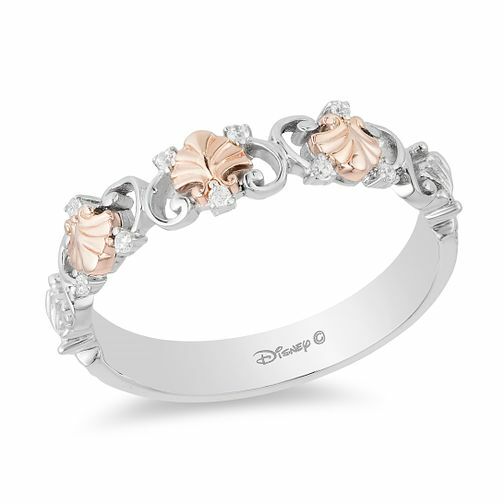 A magical ring from the princess of the ocean, this shell ring is a magnificent piece from the Enchanted Disney Fine Jewelry collection. Inspired by Ariel, the ring is crafted from silver and features a striking seashell and collection of diamonds. The seashell is made with 9ct rose gold and is surrounded by exquisite loops. The diamond cluster at the top of the ring sparkles powerfully and beckons wonder.